These instructions walk you through configuring your Perceptive Content Client or WebNow settings to control which options you would like to be the default value. 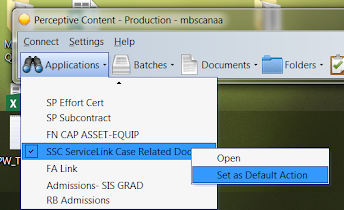 Depending on your access, you can set the default for Applications, Batches, Documents and Workflow. 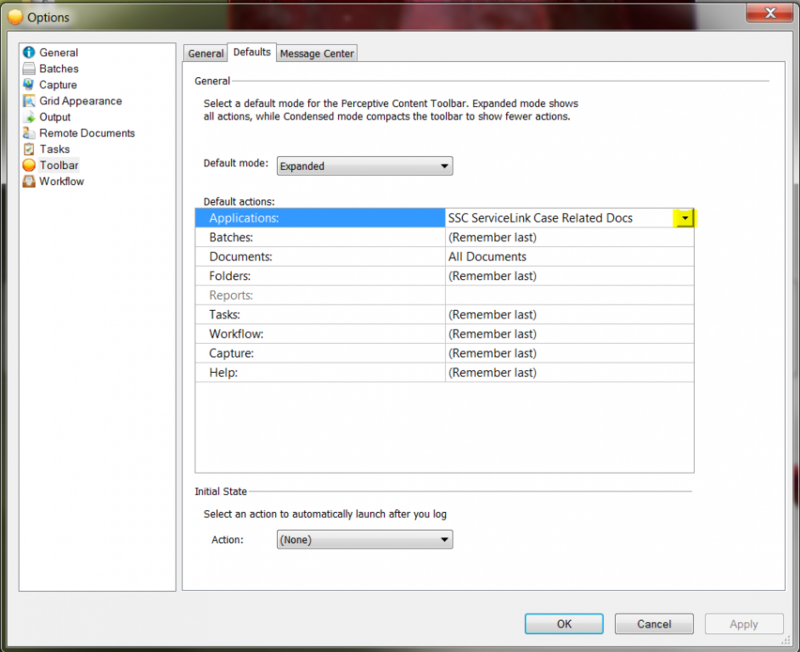 When setting default values in the Perceptive Content Client you have two options to choose from. When setting default values in the WebNow application, there is just one option. Click the drop-down arrow next to the item you want to set a default for. 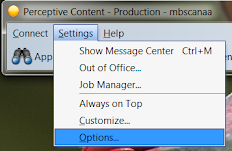 (If you don’t have drop-down arrows next to the items, proceed to Option 2 below). Log out of Perceptive Content and log back in. Click on the icon for the item you set a default value to to make sure it opens to the correct item. 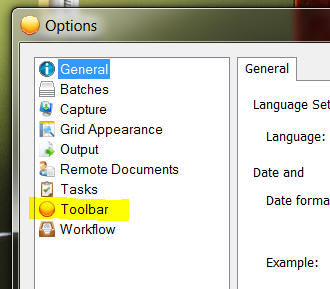 From the Perceptive Content Toolbar, click Settings. Then close the options box.